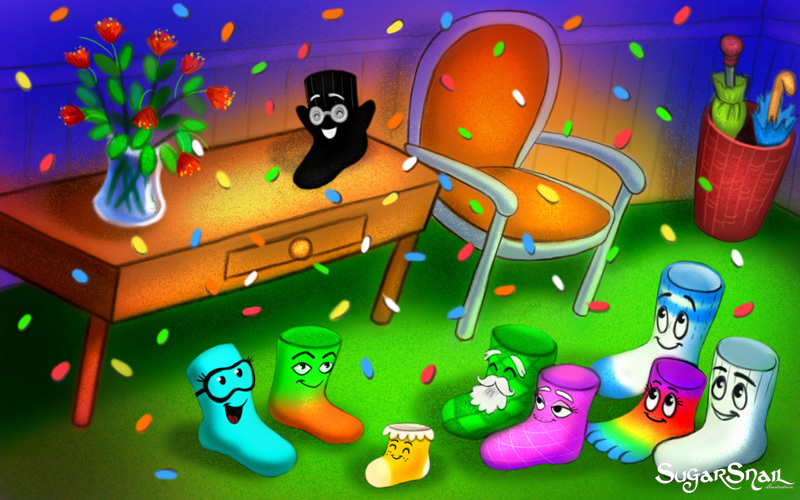 The next title in the SockKids series is: The SOCKKIDS Go Dancing. Wooly, the black dress sock, learns that a new fear can be a wonderful experience. The SOCKKIDS Go Dancing will be available in e-book form next week on Amazon.com. The illustrations were skillfully drawn by SugarSnail. All material and images associated with the SOCKKIDS are copyrighted and trademarked, according to the laws of the United States. This entry was posted in SockKids Books and tagged SockKids, SockKids Go Dancing. Bookmark the permalink.